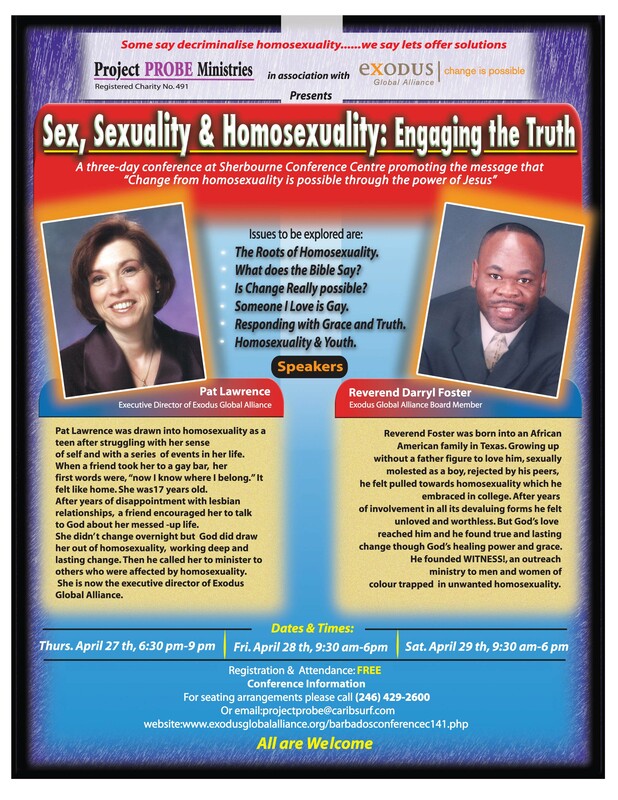 NEW YORK — TruthWinsOut.org denounced a so-called “ex-gay” religious symposium near Toronto that will peddle anti-gay stereotypes, twist legitimate science and promote discrimination. The event, hosted by Exodus Global Alliance, is part of a multi-million dollar worldwide effort to deceive people into believing homosexuality is a casual choice that can be cured through therapy and prayer. The goal is to shift public opinion, so a majority of voters will oppose legal equality for GLBT people. The right wing symposium will take place at Morningstar Church in Scarborough, ON, May 8-10. It will feature several so-called “experts” who will misinform people about GLBT life and distort science to conform to their religious theories. Exodus Global Alliance is the international component of a movement founded in the United States in 1973 to convince people that homosexuality is not a fixed orientation. Exodus International, based in Orlando, FL has a $1 million dollar budget and thirteen staff members. The organization works closely with Colorado-based Focus on the Family. Exodus Global Alliance has endorsed the criminalization of homosexuality in foreign countries and actively works to support anti-gay laws.